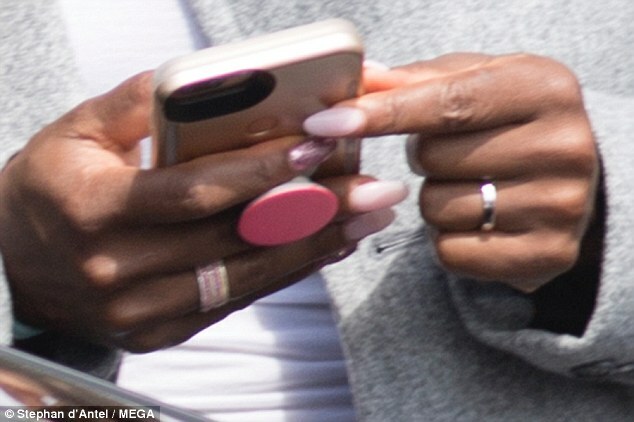 Serena Williams got engaged to Tech Mogul Alexis Ohanian last week - and we got the FIRST PICS of the ring. The ring looks very much like a wedding band - and it doesn&apos;t have a single stone in it. No diamond, no sapphire, no emerald . . . not even a dang GARNET!!! Check out the below pics of the ring. Here is a close up of the ring. Ohanian popped the question while the two were vacationing in Rome.